So far Kiahpark.com.au Administrator has created 49 blog entries. In Australia, the equestrian industry brings in more than 1.143 billion dollars per year, and that’s not even counting income from horse sports, according to a report from Equestrian Australia (EA). Since the equestrian industry is currently robust, and likely to remain so in the future, there are plenty of exciting career opportunities for people who love horses. Examples of jobs that are horse-centered include Barn Manager, Bloodstock Agent, Broodmare Manager and Dude Ranch Wrangler. Most jobs don’t require formal degrees. 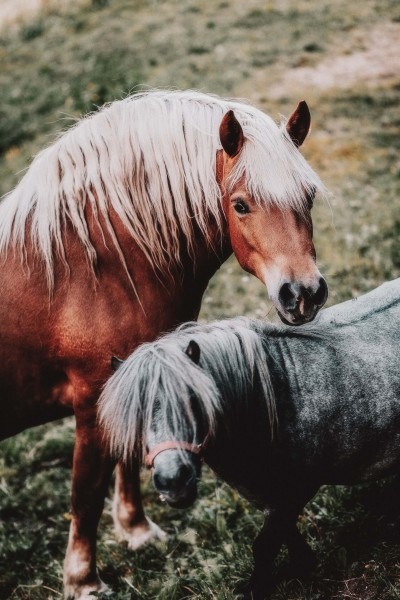 To get hired, an applicant should have a lot of experience with horses, in addition to a professional and polished resume and a strong work ethic. 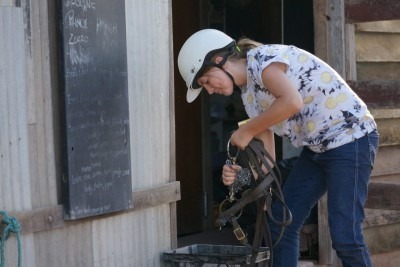 Kids who want to get on this fulfilling career pathway should get used to being around horses as soon as they can. 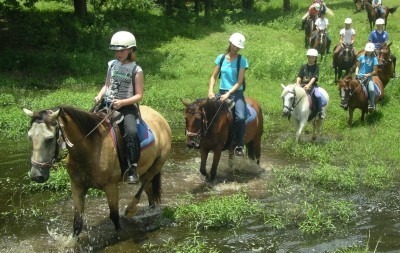 Summer horse camps are great places to become comfortable with horses and learn how to ride them. These camps are fun and very educational. Adults with the same career ambitions should gather experience which makes them stand out. Employers will want to know that applicants understand the fundamentals of horse care, know how to ride horses and have some understanding of equine behaviour and equine psychology. Adults should shoot for a mixture of book learning and real-life experience. Online courses are convenient ways to learn , according to Acs.edu.au. Any courses that you complete will also look great on your resume. Once you’ve gathered experience and education, you’ll need to show it off. This happens on a resume. The easiest way to create a professional and polished resume is to find a CV template that looks great and has room for information about your career objective, education, work experience and achievements. Fill out the sections of the resume template carefully online – save it both to your computer and online to keep it safe. Double-check names and dates, as well as grammar and spelling – any good word processor will have a good program for this. Then, boost your chances of getting the job you want by creating a cover letter, which should be sent out alongside your CV. A good cover letter should be directed at a company hiring manager and it should include your contact information. Kids who want to work with horses should build their physical fitness by riding horses regularly and caring for horses regularly. Working with horses does require physical endurance, as it’s often very hard work. The stronger and fitter a child is, the easier the work will be. 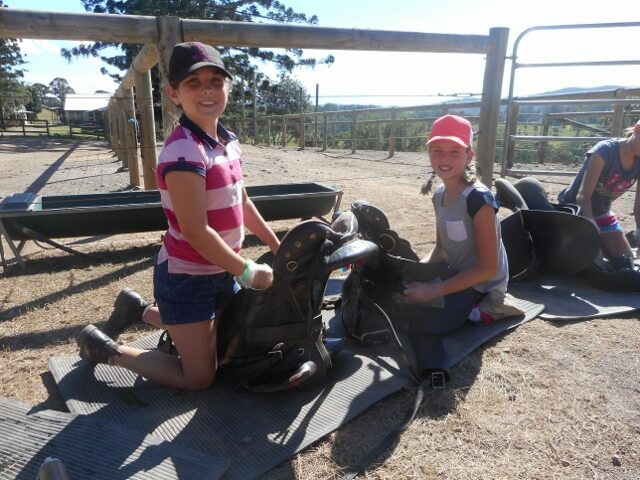 When a child gets used to doing typical horse chores, such as mucking out stables and grooming horses, he or she will develop the right work ethic. People who genuinely love horses find it easier to spend long periods of time around them, while performing chores. Whether you’re a child or an adult, you’ll find that having a passion for horses is the key to maintaining the motivation to take care of horse-related tasks, day in and day out. The equestrian industry in Australia is a billion-dollar industry. If you love horses, you will find that many career opportunities are open to you, provided you have the right blend of experience and education, along with an impressive resume and strong work ethic. Now that you know how to get started working with horses, you’ll be ready to put together a smart career plan. 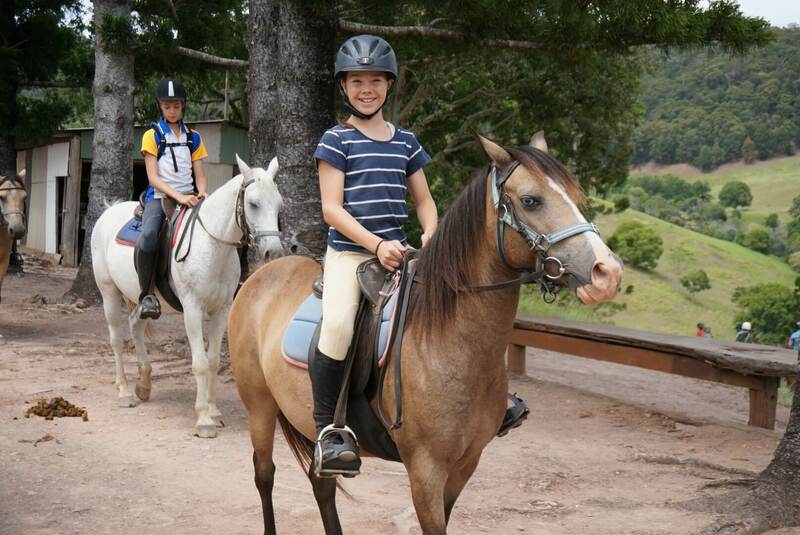 Horse riding for kids has been the joy of Kiah Park since 1978. This year we celebrate 40 amazing years of riding, fun and friendship. It is estimated that about 400,000 Australians own horses, which means that horse owners comprise nearly 2% of the Australian population. If someone you love and care about is one of those thousands of people, then you’ll be wondering what to get them when their birthday or a special occasion comes around. Instead of going for the traditional gifts that they probably receive every year that include riding gear, horse-themed phone cases, or even clothing that shows off their love of equestrian sports, try going for something different this year. This is an elegant way to allow your friend to incorporate their love of horses into their home. Adding a modern and delicate charm to any house, a horse wall decor can make a great gift for someone who wants to display their passion without going over the top. Other types of modern art, such as intriguing poster prints that come in different sizes and background colors, can add an artsy or even technical touch to a home or stable. For a younger friend who still wants to keep their decoration classy, you might try an origami decoration in the shape of a Pegasus. The glass, wood and paper combination is stylish and suitable for any home theme and makes the perfect gift for horse lovers who will enjoy something unique that nobody else will have. As a standard rule for anybody giving a gift, it’s often smart to look for a gift that keeps on giving, which means it’s something practical that they can use more than once, or maybe even a subscription to a magazine or regular supply of adventure-related goodies that they’ll want and love. Subscriptions are a great way to show the horse lover in your life that you care, and they can be to a wide variety of things. Equestrian Life is one of Australia’s best quality horse sports magazines, for example, along with Australian Performance Horse Magazine. A recurring monthly subscription to goodies that will serve them on their horseback riding adventures is also a great choice, as it will allow them to receive a variety of surprise gifts each month that they can keep on using throughout the year. If your friend loves horses, then they’ll most definitely love the chance to watch their favorite jockey or horse compete in person. Snag them tickets to the Australian Derby and wrap them in a gift-basket or include them as part of a scavenger hunt as the final prize. You can also search for a VIP package or try making a few calls to allow them to see behind-the-scenes at their favorite yearly competition so they can meet the horse and jockey as well as get a tour of the facilities. Booking a horse experience of some kind is bound to tickle your friend with excitement and anticipation. Regardless of the gift you give, it’s important to consider what your friend would like in the first place. Someone who already has a lot of riding gear might like to receive something commemorative such as art or memorabilia. Someone who is in desperate need of new riding boots, however, will probably love the thought you put into getting them their favorite pair. Keeping your friend’s style and taste in mind will ensure that they love whatever kind of horse-themed gift you decide to get them. In the animal kingdom, the horse is one of the most biologically and psychologically complex animals, with studies suggesting that they can even recognise human emotion. Looking after a horse properly requires a deep understanding of their health, fitness and social needs. When your child spends time with horses, it won’t all be fun and games. They will need to take on some of the responsibility of caring for these complex animals. That means starting a routine of proper feeding, exercise and grooming. If they can learn to do this right, then they’ll also be learning about how these same factors can apply to their own health. Horses are incredibly active and must keep moving between 30km and 80km each day. This is why taking them out for a trek across the countryside is one of the best things for their health. It will keep their joints and muscles strong, while preventing the onset of equine illness. As your child observes a horse becoming fitter and maintaining a calm and happy temperament, they will realise how important this is for them too. Moderate aerobic exercise of at least an hour a day is recommended for children over the age of six. In addition to this, children should spend three days a week engaged in exercises which build muscle or bone strength. This may seem like a lot, but once a child sees how fit and healthy an active horse looks, they will understand the importance of exercise. Horses and humans require very different diets, but the one thing they share is a need for plenty of nutrients. A horse should spend much of its day grazing in the pasture, where they must consume up to 2% of their body weight in grass and hay. While grains can be added to a horse’s diet, sticking to the natural food that their digestive system evolved for is best for their health. The same is true for your child. Like a horse, they haven’t evolved to be eating large quantities of sugar and saturated fat. They should stick to natural whole foods for slow release energy. The other key component to a horse’s diet is a regular routine. They thrive when eating at the same time each day. This kind of routine can also help a child to eat more healthily, sleep more easily at night and maintain energy levels throughout the day. The final lesson we should learn from horses regards their mental health. 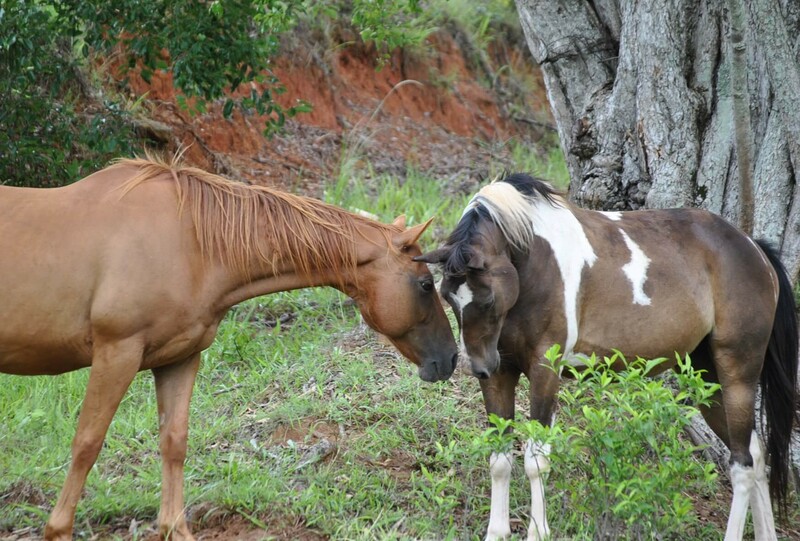 They are social animals who need to interact with other horses to keep high levels of wellbeing. They can be easily scared, so they also need a safe and secure environment. If your child can create this atmosphere for a horse, then they have a greater chance of succeeding in their relationships. Horses and humans may not be as different as they look. Both are social mammals, who require plenty of exercise, the right nutrition and psychological support. 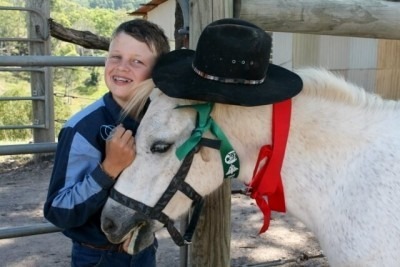 When your child spends time around horses, teach them to apply their knowledge of equestrian care to their own lives. This will keep them fit, healthy and happy. Horse riding trails – that thought brings a beautiful picture to mind; that is, if you have ever experienced one! Kiah Park’s trails take our kids up and down hilly countryside and across gurgling creeks. We take them under the magnificent foliage of great trees and hanging vines, to places where quiet bush animals are sometimes seen. 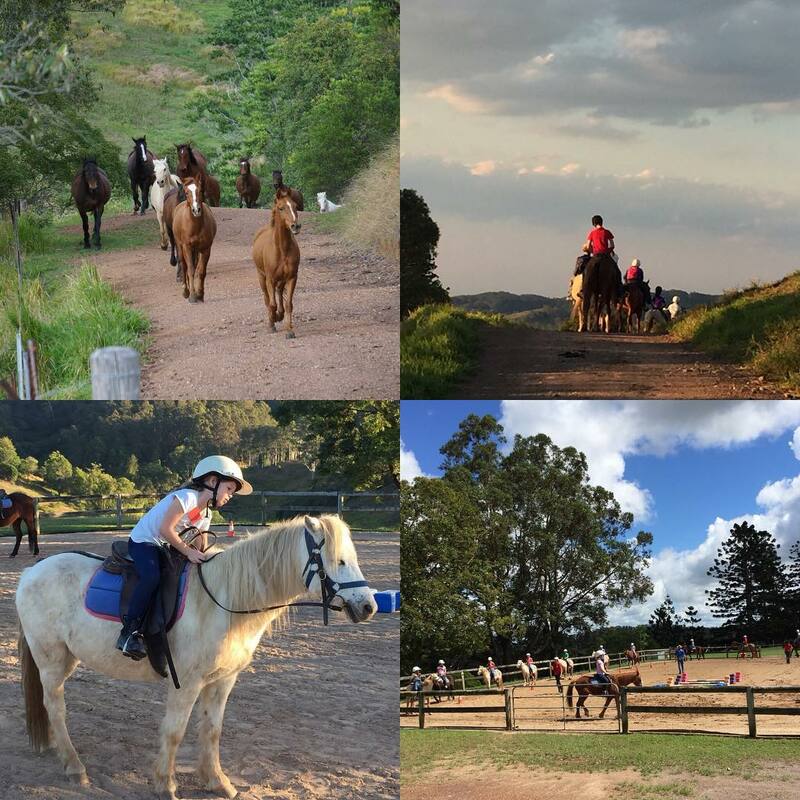 Our horse riding trails also wander over open green pastures. 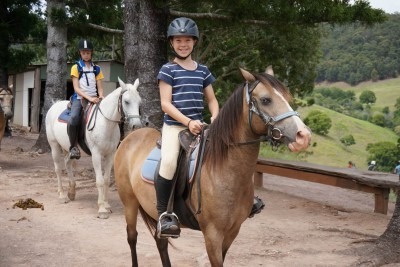 These are a fun spots for our kids, because everyone gets the opportunity to practice their riding skills on clear open stretches, and some are able to make it into a canter. Trail riding is something new riders can do, but there are also a few things to learn on the way. Here are five great horseback riding tips for trail riders. Many and varied are the riding trails woven throughout our 300 acres of horse land. There is so much to explore. Can there be a more beautiful way to discover it all than riding on horseback with friends? Our photo gallery will give you a peak into what it’s all about. School holidays are such a wonderful time of the year! As fun as school and friends can be, there is something very special about a hard-earned holiday break. If your child has never been on a camp before, there is a wonderful new world out here for them to discover. Camps are the education of the great outdoors. Try adding horse riding to that picture, and subtract all electronic devices. Multiply it by friends, and divide daily responsibilities between the kids. There you have it – the formula for a magical kid’s camp! Plan to discover one for yourselves these spring holidays. It is almost too beautiful to be true – ask our campers! 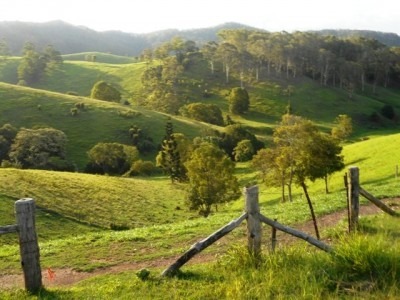 Kiah Park is a little piece of paradise in Sunshine Coast’s hinterland. The horses love it. The children love it. The riding staff love it. The farm yard animals love it. Parents love it so much that they wish they were children again so they could come and join us. Come and see for yourself! No wonder Kiah Park is a home away from home, with special horsey memories etched in the hearts of our children for a lifetime.